Tony is a PRIME Trustee and a senior PRIME Tutor and has previously been part of our Management Team. He is a nurse by profession with a background that combines clinical practice, education and the medical industry. Tony has extensive experience of medical education in formal and informal settings as well as teaching internationally including in the developing world and ex-communist bloc countries. He is currently senior lecturer in medical simulation and unit lead for the Simulation in Practice Unit offered at the Postgraduate Medical School of the University of Bedfordshire. 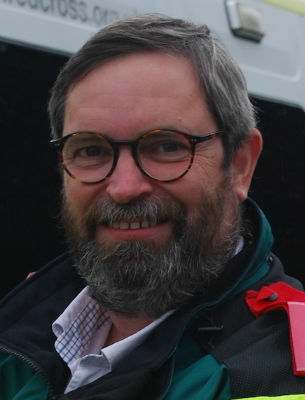 Tony provides prehospital immediate care as a BASICS responder in his locality and is Vice Chairman and Course Director of that organisation nationally. Tony was awarded an MBE for services to pre-hospital emergency care in January 2014. Other current roles include tutor & examiner for the Faculty of Prehospital Care and Standards Board member for the Diploma in Immediate Care exam, Royal College of Surgeons of Edinburgh.